Department of Pulmonology is one the leading Pulmonology Departments in South India, serving children with related disorders like Asthma, Bronchitis, COPD and many others. One of the key features of our department is Flexible Fiber Optic Bronchoscopy – an advanced technique which is used to detect abnormalities of airways; falls under the purview of Pediatric Cardio-Thoracic Surgeon. We also have a special recording facility which is only available in a few hospitals in India. We take special care of children suffering from Asthma. We give Training to Parents on how to offer Inhalation Therapy to their children. We also have a Pulmonary Function Testing team. We have an effective strong nutrition department who counsel and help children with their diet, as kids require multi-disciplinary support. 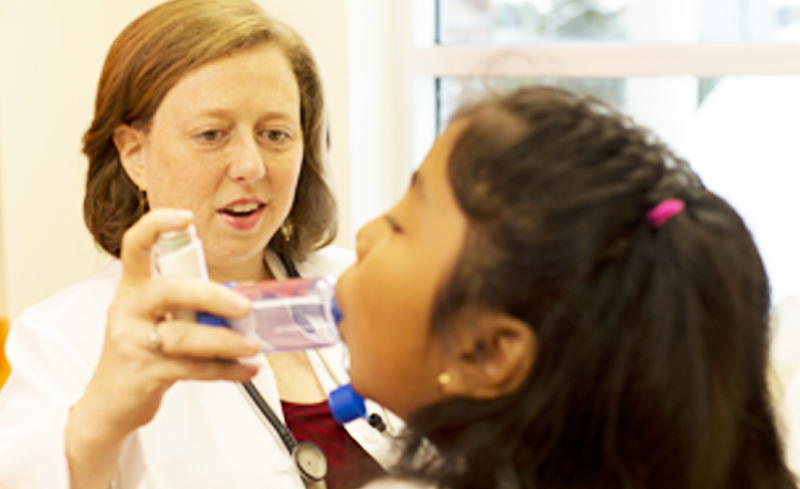 We help children with respiratory problems where the disorder is analyzed, and appropriate management plan followed. Children with persistent Wheezing and Cough, if such cases go beyond Pediatrician’s control can be sent to us for further evaluations. We offer consultations for infants of 60 days to adolescents of 18 years. We have a well qualified team led by Senior Clinicians committed to make breathing easy for your kids.